Our Costa Rica retreat embraces life in its purest form, and invites you to courageously thrive and allow the natural power of being who you are resonate. PURA VIDA. Join us for a full week in the jungles and beaches of Playa Guiones in Nosara, Costa Rica. 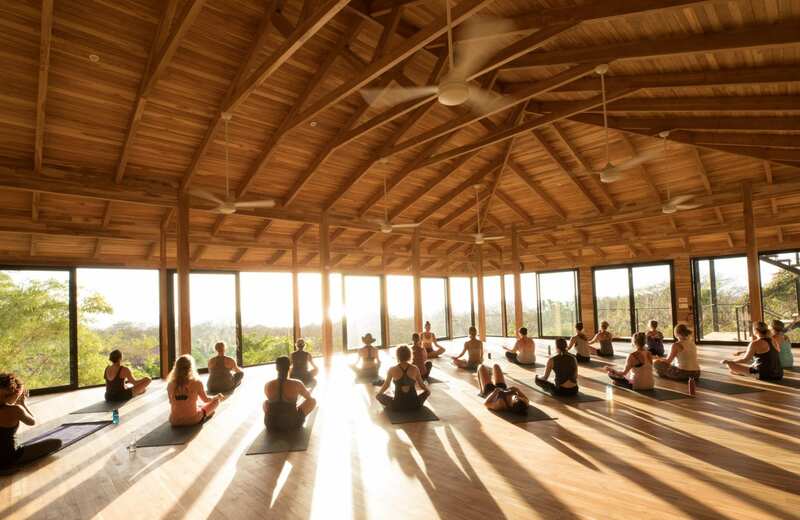 Enjoy iLa Yoga practices, world class surfing, dining, 5-star accommodations, excursions, spa, and boutique shopping, to the simplest pleasures in life; breathtaking sunsets, sand between your toes, and drinking in the natural beauty of this place. – Professional Photos of retreat week to remember the magic and share the memories! *Payment must be received for both parties at the same time. – A 50% deposit is due at time of registration. This deposit is non-refundable AND non-transferable. – Remaining balance is due by January 5th, 2020, and is non-refundable. – There will be a $100 fee for any payments made after January 5th. – Room selection is not changeable once booked. This cancellation policy is firm. Please, do not make any travel arrangements before receiving confirmation of registration.